The Forward Festival for creativity, design, and communication brings together the best international and local creative heads, who provide insights into their success stories in an exciting atmosphere. The last Forward Festival in 2016 took place in Vienna and Munich and it was a big success with aplenty of talented attendees. One of the prestigious guests was Stefan Sagmeister – and it looks like that he will attend also the next time in Zurich and Munich. 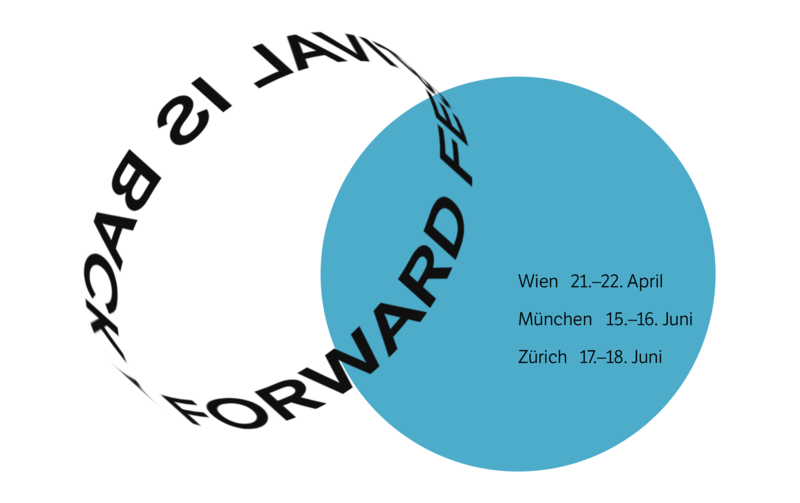 With an interactive clean website, a ring-shaped header at the top of the homepage, they announced proudly “Forward Festival is back” – this time in three various cities. Bold colors and shapes reference Swiss-style graphic design throughout the festival’s website. The festival is accompanied by various side events, such as workshops, live art sessions, and networking events. For Zurich it is planned on 17. – 18. June 2017! Save the date, see you there.